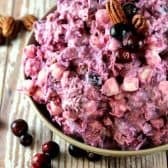 Cranberry Salad is the perfect side for any turkey dinner! 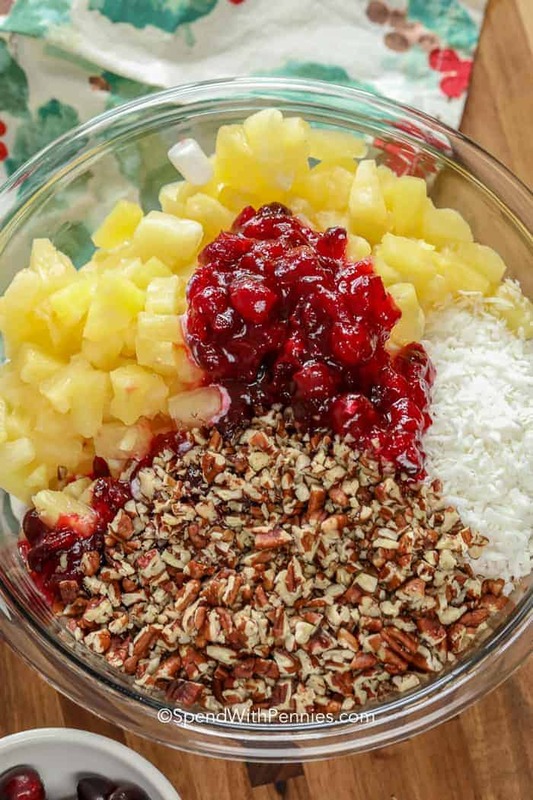 A delicious mixture of fresh homemade cranberry sauce combined with pecans, coconut, marshmallows and pineapple. This salad reminds me of my favorite Millionaire Pie recipe with a deliciously tart cranberry twist! Cranberry salad is called a salad but it’s not really salad at all (kind of like Watergate Salad or Strawberry Banana Salad). 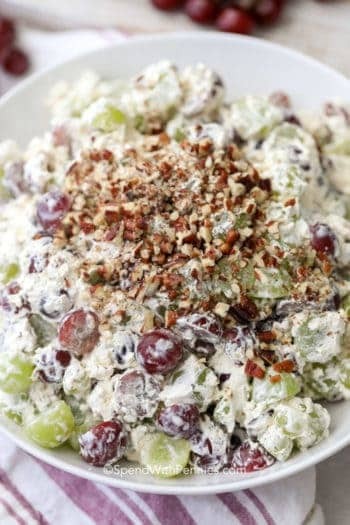 It’s almost more like a dessert salad but we always serve it on the side of our turkey dinner, like Ambrosia Salad. Regardless what you call it, my family loves this easy cranberry salad! Fresh tart of cranberries, juicy pineapple, pecans for crunch all in a sweet creamy base! This cranberry salad recipe starts with an easy homemade cranberry sauce. The cranberry sauce in this recipe uses a bit less sugar so it’s more tart which balances the sweetness of the rest of the ingredients. You can certainly use a store bought whole berry cranberry sauce in place of the homemade version but this does change the recipe slightly since the store bought sauce is sweeter. Creating the homemade sauce is so easy, just a 3 items in a pot and let it boil and cool. Don’t worry too much if your cranberry sauce seems a little runny, it thickens as it cools. So easy right? This cranberry salad is going to become a new favorite in your house too; a little sweet, a little tart and a lot delicious! In this recipe I don’t add all of the cranberry sauce to the mixture because I’d like to keep the consistency a bit thicker. You can certainly add all of it if you’d like but the salad won’t be quite as thick. The little leftover cranberry mixture can be used to drizzle on anything sweet from Vanilla Bundt Cake to ice cream or even spread over Banana Bread! Remember it’s a bit more tart than a traditional cranberry sauce so it goes well with something sweet! If you don’t have pecans on hand, walnuts are another great option. This cranberry salad can be (and actually should be) made ahead of time. I try to make it at least 4 hours ahead but the day before is perfect too! 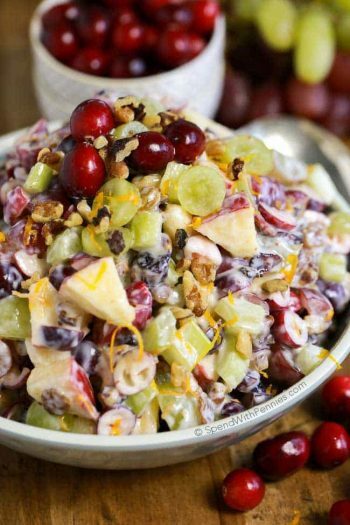 This Millionaire Cranberry Salad is the perfect side for any turkey dinner! A delicious mixture of fresh homemade cranberry sauce combined with pecans, coconut, marshmallows and pineapple. Combine cranberries, sugar, water and cinnamon stick in a saucepan. Bring to a boil, reduce heat and let simmer 10 minutes. Cool completely (sauce will thicken upon cooling). Add 1 1/2 cups cooled cranberry mixture from step 1 with remaining ingredients and stir well. Let sit 4 hours or overnight. May I suggest that at the end of the recipe you add a line that says to “read ALL comments and the blog section before asking your questions.” You must have the patience of Job or have an automatic cut/paste option on your computer to continue to do this for us with all the duplicate question you get on every recipe you post. You have my permission to tell your readers (that ask questions that were previously answered) to read previous comments! I froze my cranberries cause I got them earlier then I was suppose to because I was going to make it for Thanksgiving. Anyway, I thawed out the cranberries mostly and made the sauce. I thought i was suppose to refrigerate the abuse first before adding to the salad. It probably would have been better had I not but we will see. It’s for a Christmas party today. I taste tested it and it tasted wonderful but i bet will even be better tonight. Everyone is looking forward to it. Thanks for a recipe I will continue to keep making. I’ll let you know how people like it. 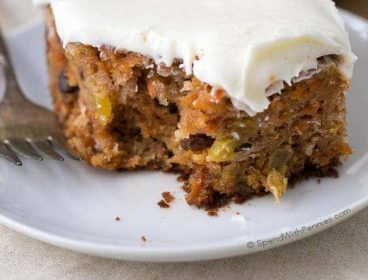 Need to know if the coconut in this recipe is sweetened or unsweetened? We love it too Misty! I know I will love it. The aroma is intoxicating and I mean that in the best way possible. So glad you loved it! Happy Thanksgiving to you and your family! Can you use regular yogurt instead of Greek? Yes you can, it may be a little bit of a softer consistency but will still work great! Would adding plain gelatin give it a more “fluffy” texture? Would that even work or would it be a tru jello consistency? Your thoughts? Thank you!! I’ve only made this recipe as written, but do have a Berry Fluff Jello Salad that has gelatin in it. The texture is really nice. So for this recipe, it may work too. Let us know if you try it Lisa! Can you substitute for fresh cranberries. Yes but canned cranberry sauce is sweeter than this homemade version so it may change the flavor slightly. Coconut milk will change the consistency of the salad as you’re adding a liquid in place of a sold. I would suggest either leaving the coconut out or using a little bit of coconut extract. its very delicious. thanks for your receipt..oh ya.. may i join to your board? im very interesting to join your board.thanks.. Thank you Matilda! You can find my Pinterest board here! You can leave the nuts out or add extra coconut. I would use chopped celery or water chestnuts instead of nuts. I cant stop starring at the images of this salad. I just love the color and all the different ingredients that have been used blend so well together. Its definitely going to be a hit with the kids. Made this for Thanksgiving 2017 exactly as written. It was delicious!!! The leftover cranberry sauce was devoured too! The sour cream and home made cranberry sauce put this over the the top. Love this salad. But i add 3 stalks celery sliced thin, three bartlett pears, chunked up, and 3 honeycrisp appkes chunked up. Those sound like yummy additions! I am glad you enjoyed this recipe! A holiday tradition from childhood. We always used a pint of heavy whipping cream beat stiff instead of sour cream or yogurt. It can be streamlined with Splenda. Love it! Can the pecans be left out? We don’t like nuts in salads. We could try, though, if leaving them out would change the taste too much. You can certainly leave them out! Can I add a little cool whip to this without affecting the sour cream so it will be a little sweeter? Sure you can if you’d like it to be a bit sweeter. Great recipe. Wondering if this can be made ahead and frozen. I haven’t tried freezing this recipe so I can’t say for sure. Hi Holly! Happy Thanksgiving! 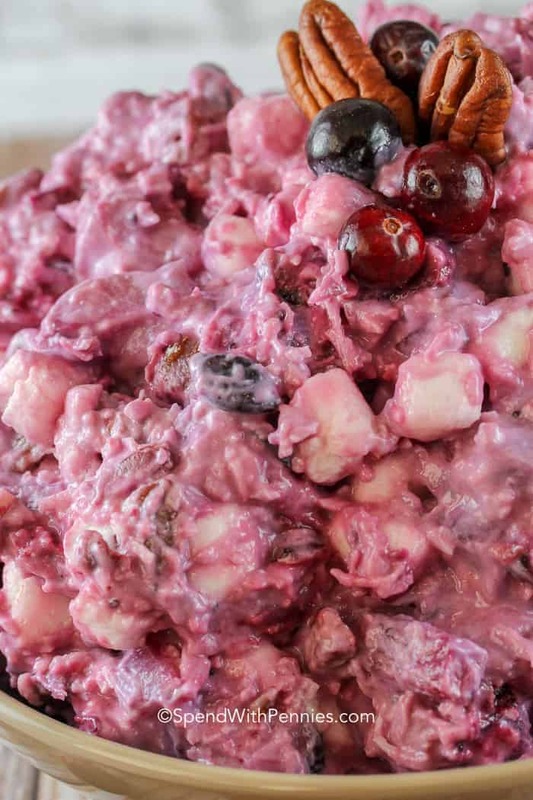 I made your cranberry fluff recipe yesterday and it was delicious! I am planning on making your cranberry millionaire salad tomorrow. I especially loved the cream cheese / heavy whipping cream / sugar mixture that was the base of the cranberry fluff. Do you think I could take that base and mix with the rest of the ingredients in the Cranberry millionaire salad and it work? Not trying to change your recipe, just combining two or your awesome ideas!! I just really enjoyed the base on the cranberry fluff. My son enjoyed it very much as well. Just wanted to see your thoughts. I love swapping up recipes and trying new things!! I haven’t tried it so I can’t say for sure but I don’t see any reason it wouldn’t work. If you do try it, I’d love to hear how it works out for you! I don’t understand why it says to use only 1.5 cups of the cranberry mixture. What are you supposed to do with the rest of it. Throw it away??? We never throw the extra little bit away… it’s great on yogurt, ice cream, cheesecake or just eaten as cranberry sauce. 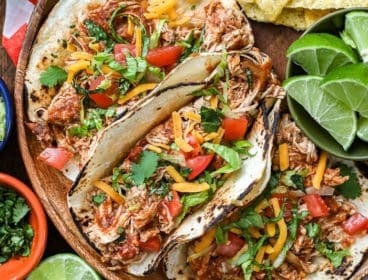 Readers go by the recipe as posted it’s really delicious! If allergic to an ingredient simply change that ingredient IT will or can change the taste of the recipe It’s not the person fault if it changes the taste. I was wondering if I could make it with half sour cream and half yogert? I was wondering what your thoughts were about substituting the pecans for walnuts? I bought the wrong bag and already opened it! I think it could be a delicious substitution! Made this Recipe last year and family loved it as much as the Turkey! Making it again this year, of course. I’m seriously considering reading the whole comment trail for this recipe at the holiday table because it read like a “Who’s on First?” skit!! Hehe…Thanks, Holly! LOL! Thank you so much Sharon! :) Happy Thanksgiving to you and your family! Whole group loved this!! Made it for Thanksgiving last year and I was told I had t make it for Christmas as well. So glad to hear you love it Carlee! Can you use a can of cranberries? 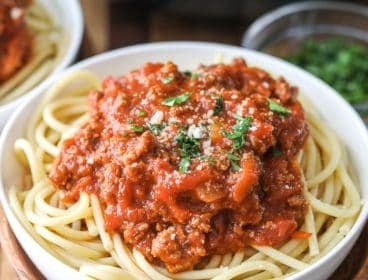 What size for this recipe? This recipe makes approximately 5 cups. If I’d rather not buy cinnamon sticks, is there a way to boil the cranberries with ground cinnamon instead? I have only tried this with a cinnamon stick. If you do make this using ground cinnamon, I would suggest you start with a very small amount (1/8 tsp) and add more if needed. I’d love to hear how it works out for you if you do try it. Enjoy! While I’ve only tried the recipe as written, you can try adding some extra nuts (although I wouldn’t suggest adding an extra two cups, that would probably be way too much). Maybe some dried cranberries as well just to make up some extra volume as this recipe contains quite a bit of coconut. This looks & sounds delightful! I will be trying this for Thanksgiving this year & again for Christmas if it’s a big hit. I do have a silly question though, and I apologize if it’s already been answered and I overlooked it….the last step where it says to let sit for 4 hours, do you mean refrigerate for 4 hours?? Thanks! AMAZING!!! The best cranberry salad ever. I have only made this recipe as written. I’m definitely going to try this. We use a different cranberry salad recipe, but this looks so good. My daughter doesn’t like coconut, but I love it. I’m going to chop the coconut finer and cook it with the cranberries. I hope it won’t change the final result. Thanks for the recipe. I hope this is a hit with your dinner guests! Happy Thanksgiving! Cannot use marshmallows. Any thoughts for substitute? The marshmallows add sweetness and soak up a lot of the liquid. I wouldn’t suggest leaving them out. The lady asked if you could leave the marshmallows out, Could you cut back on the water and eliminate the need for marshmallows and add some splenda? I’ve only made this as written so it’s hard to say how it would change the recipe. The marshmallows add sweetness, a bit of bulk plus change the consistency of the recipe. If you try it without, please let us know how it goes. I haven’t made it yet; however, I plan to on Thanksgiving as it sounds delicious – love the tart/sweet aspect of it. BUT I do have a question….how many servings for this recipe? I think this is such an important part of a recipe in order to be able to know how much to add for more people or take away for fewer people. Thanks! Once mixed together this makes closer to 5-6 cups of Millionaire Salad (so you could likely get 8-10 servings per salad) as it settles even more once it sits. Ok the video says boil for 10 minutes the printed version says simmer 10 min. Also the recipe says to stir 1 1/2 c cranberry mixture with other ingredients, so what do you do with extra cranberry mixture? Recipe says let sit overnight, video says refrigerate 4 hours. You can let it sit at least 4 hours or up to overnight. We enjoy the extra cranberry sauce with turkey or even mixed into yogurt or over ice cream. :) Enjoy! I would boil the cranberries in the drained pineapple juice. Maybe a little less sugar since the pineapple juice is sweet already. I leave out the sour cream and coconut and add a big box of red jello, any flavor. I add diced peeled apples and orange bits without membranes. I drain the pineapple (crushed or tidbits), too. It sets up well in the fridge. This now my favorite recipe!! I love it!! I made it for Christmas Eve and it was a huge hit. Very simple to make and directions couldn’t be easier. Thanks for sharing! Enjoy Alicia! We love it! This is my new favorite! Thank you for sharing! Have made this numerous time…great recipe and delicious. Thanks. Awesome! It’s one of my favorites! I made 3 batches of this lovely creation since Thanksgiving. The 3rd batch was a double for an event at our church. EVERYONE loved it, except those who have a “texture” problem. I did not use the cinnamon when preparing my cranberries, maybe next time. In the last batch, I added 2 cups of the prepared cranberry sauce and liked it even better! Made this for Thanksgiving, I loved it went very well with turkey. Leftovers were great for a dessert. This salad was fantastic!!! Very refreshing! I will be making again at Christmas! Actually, probably several more times! Not being a huge fan of cranberries, I was reluctant to try this. I screwed up & accidentally put in a whole cup of sugar & I just added all the cranberry mixture with all the rest. It was fantastic. Making this again. Thank you…oh, and it was not too sweet with the extra sugar. This recipe was a little confusing. … It should have said AHEAD of time that you didn’t need as much cranberry sauce (we had previously made cranberry sauce), the cinnamon stick (obviously take it out), and I think if you use sour cream, 2 cups is way too much. It was so overpowering. We had 18 people at Thanksgiving and EVERYONE made a comment on it – “next time use the yogurt”. I have so much left over, and there’s only 2 in my own family. So disappointed. Made this for thanksgiving this year. everyone loved it. So easy, made the day before. Way too tart for me. It looked so pretty that I thought it would be sweet. I’ve kept it 3-4 days. I have made this both way with the sour cream and also with cool whip as my granddaughter has a dairy allergy. Both ways are good, the one with the cool whip is not overly sweet but is thicker than the one made with the sour cream. So if u use cool whip instead do u use the same amount of the cool whip as u would of sour creme.? What if I got unsweetened coconut? My cranberries are boiling now!! I’m tmqkong this dish to take to my In Laws tomorrow!! I doubled the recipe! I don’t want the cinnamon to be over powering. Should I take the cinnamon sticks out right after boiling or leave them in while the cranberry sauce cools? Thanks for this wonderful recipe! I can’t wait to share it with the family tomorrow!! You can take them out while it’s cooling or shortly after. Happy Thanksgiving! It’s best to leave the cinnamon stick in it till ready to make it. I also refrigerated the cranberry sauce to cool first only cause i thought i was suppose to. So i will find out how others like it when its served at a Christmas party tonight. I also sprinkled some extra halved pecan over the top of it to garnish it. The rest of the cranberry cause i have left i am going to give some away and the rest save for toast or biscuits in the mornings. can I substitute walnuts for pecans? Do we need to take out the cinnamon stick? Yes, remove and discard the cinnamon stick. This was delicious! Not sure why others were confused. You end up with about 2 cups of the cranberry sauce when cran berries cook down. I just added it all in together. It was perfect! It’s a winner. “Let sit 4 hours or overnight” – I assume that means in the refrigerator. Please let me know. Thank you. How far ahead of time can you make this? If I make it this afternoon and refrigerate it, will it get soggy? No it’s perfect made the day before! It doesn’t do to get old!!! I decided to make this for Thanksgiving tomorrow. I thought I had everything I needed except for the sour cream and pineapple TIDBITS. So, special trip to the store. Got my cranberries done and cooled. Opened the can of CRUSHED pineapple – oops #1. Decided no big deal used it anyway. Then grabbed the sour cream only to find out I grabbed cottage cheese instead – oops #2. Decided what the heck, used it instead. The mini marshmallows I thought I had were the very large ones instead – oops #3 – kitchen scissors to the rescue. I tasted it and not bad. Hopefully it will be even better tomorrow after the flavors blend. 3 cups? or 24 Oz of fresh????? I measure it by cups using 3 cups. They shrink down a lot. I don’t like cranberries I wonder if I could substitute with celery? Haha just kidding. This recipe sounds perfect. The instructions are perfectly clear. I just read al the comments and sometimes I really worry about our society lol. Super excited about this recipe!!! LOL! :) Enjoy Christy! It’s one of our favorites! Good stuff. Don’t sneak a taste before it’s all together….it’s all the flavors combined that compliment each other that makes this work. (From a life long sneak taster). :) So glad you enjoyed this Bobbie! I made the Cranberry Millionaire Salad. Recipe called for 1 1/2″ of the cranberry sauce that I cooked up. What are you to do with rest of this sauce??? The amount leftover should be fairly small. The extra can be enjoyed over yogurt or on turkey sandwiches. Some readers have added the extra into the salad as well. Use it on toast or biscuits or give to a friend. I’m doing all three. I left the cinnamon stick in it til it’s all gone too. This makes 8 side dish servings. WOW, I saw nothing hard about following this recipe at all. Common sense would tell you to use the “cooled cranberry sauce” you just made, especially since there was no mention of store bought sauce in the recipe itself – only mentioned in the blog that it could be used INSTEAD. .
No offense, that was the worst recipe I’ve ever read. You listed all of these other ingredients and there’s no mention about what to do with them win. The fact that you have all of these comments asking you should tell you. how about coming back on here and turning this into a recipe that everyone can follow? Which part are you having trouble with Mary? Step one where you combine the cranberries, water and cinnamon to make a homemade cranberry sauce? Or step two where you combine 1 1/2 cups of the homemade cranberry sauce you’ve just made with all of the remaining ingredients and stir? Seriously?? My 12 year old followed this recipe and made it all by herself. It’s delicious! So glad you loved it Melissa! you use whole cranberry sauce in a can in place of making your own? You can however the recipe would be sweeter. In this version I’ve reduced the sure to balance out the sweetness. 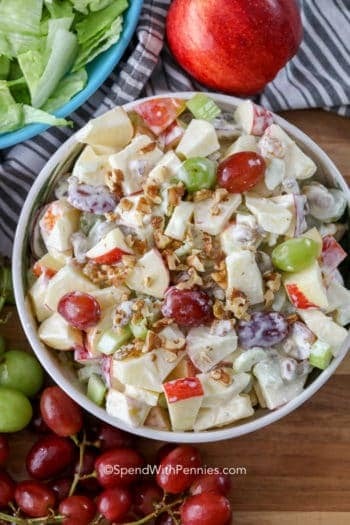 I a m making the millionaire salad for how many people is the recipe ? I’m going to make this and yes the recipe is totally comprehendible so thanks! The one question I did have was how long does it keep? Happy Thanksgiving! I’ve made this up to 2 days ahead (I find that the day before is about perfect). How long will this last if you make ahead of time? Need to make everything 3 days ahead for Thanksgiving and wondering if it will keep. I can’t say for sure, I’ve left it for up to 2 days. You could try mixing the dry ingredients and the wet ingredients and combining them on the day of serving. Do you put the pecans in whole or break them up? I’m confused the way the recipe reads. It says add 1 1/2 cups of the cranberry mixture from step 1 and mix well. It doesn’t say how to mix in the rest of the cranberry mixture why doesn’t it just read Mix the 2 different part all together . The wording is not clear. You are only going to use 1 1/2 cups of the cranberry mixture. You may have a little bit leftover that is not added in. Can you just use ground cinnamon? I don’t have sticks. Cranberry Butter would be AMAZING!! This looks wonderful. But would you be able to substitute cool whip for the sour cream? 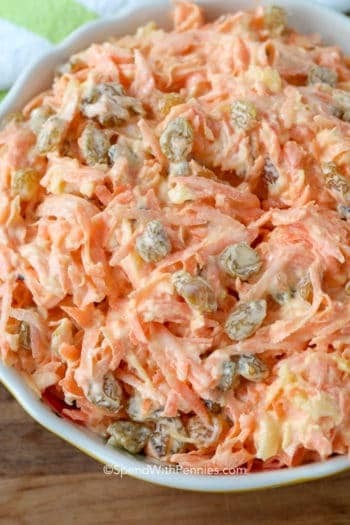 While it would likely work, Cool whip would make this salad much sweeter. The sour cream balances out the sweetness. 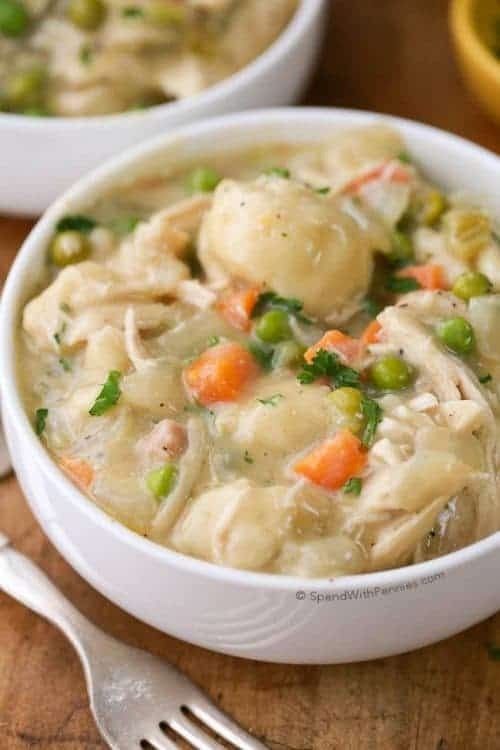 Love alot of this recipe. Love to make them. LOVED your Cranberry Millionaire Salad! 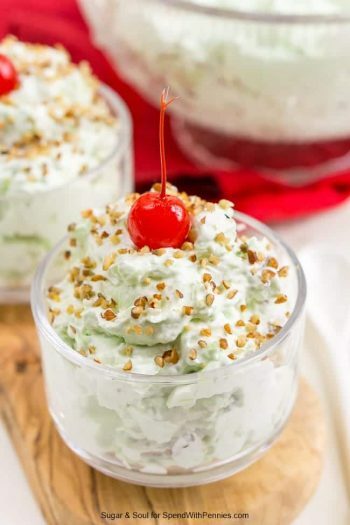 I have a family recipe that is similar but with drained fruit cocktail, extra crushed pineapple, marshmallows, sour cream. 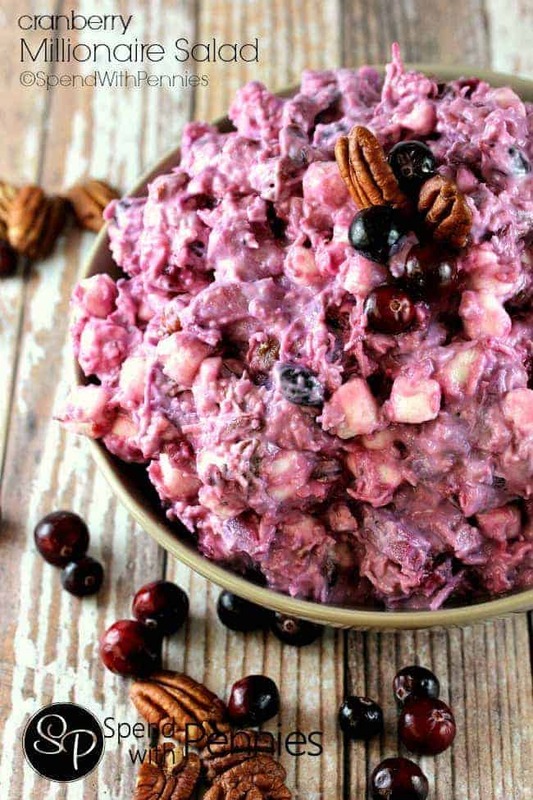 I love your variation with the cranberries, coconut, and pecans. I never tell company (or grandkids) what’s in it until they try it and always love it. I don’t want to serve a dessert as a salad but I like that it’s inbetween salad and dessert. Sweet but not too sweet. Yummy! Thanks! I’m so glad that you enjoyed the salad, Linda! Can I add all the cranberries to the recipe.?…. I love cranberries!!! This recipe sounds delicious!!!!! You can, it may change the consistency and make it softer. I don’t like coconut, can I just omit or do I have to substitute with another ingredient. I’m going to assume that this cranberry millionaire salad is refrigerated 4 hours because it doesn’t say so. Yes, it is refrigerated for 4 hours or overnight. Made this a few weeks ago and it was delicious! Making again today for weekend company. So glad you enjoyed it Luann! This looks good, except for the fact that I’m not a huge fan of pecans. Just wondering if anyone has tried using a different nut variety, i.e., almonds or filberts? I think it is good with pecans too! Any good suggestions for dairy free version for replacement for sour cream or yogurt? I haven’t tried this with a dairy free substitute, hopefully another reader has a suggestion. I’m making this for Thanksgiving, easy instructions but I guess some people can’t read and comprehend. You must want to say….. replace sugar with ARSNIC! After awhile….. Happy Holidays! Your directions are easy to understand! As to leftover cranberry sauce, put it in a dish on the table and see what people will do. We are not coconut lovers but I’ve added chopped apple to simmering cranberries many times with good luck so we are going that way. Use the cinnamon stick, all it does is give a touch of flavor where you might ruin the dish by adding too much of it if it’s ground. Someone asked about cream cheese. My experience has been that it clumps into dots all through the salad unless it’s melted and whipped into the salad, which then just breaks the cranberries up. Hope this helps…btw, I’ve been around a long time…have 12 grandchildren and1 great grandchild. Happy Thanksgiving to all of you! Thank you for the great ideas Sharon! Happy Thanksgiving to you and your family too! 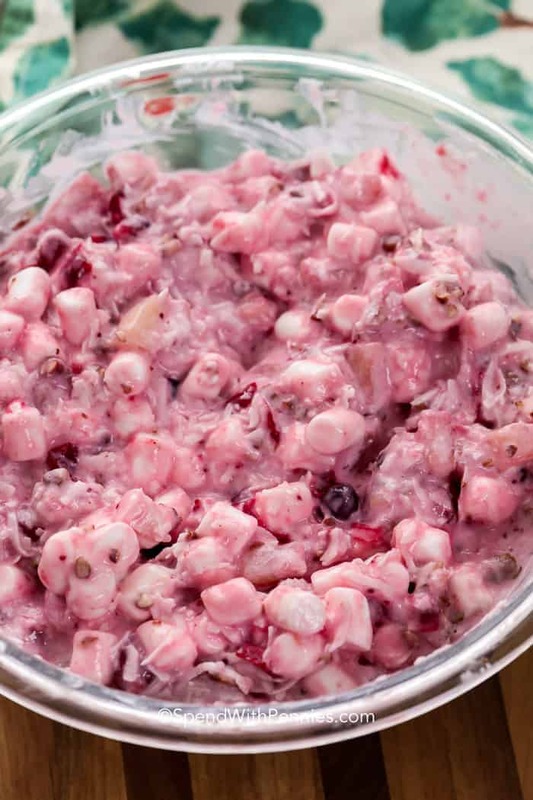 Can the mini marshmallows be omitted from the millionaire cranberry salad? can you use ground cinnamon? I have everything but that. i love cranberries and this sounds delicious. I’m so glad you enjoyed it Karen! I’m sorry I am unable to provide nutritional information. You can enter your ingredients here to calculate your calories. I always read reviews before I make a recipe. You my friend are a saint! I applaud your patience. OMG… Some of the questions asked made me comment out loud! LOL! Thank you Sandy. :) Enjoy the recipe! YES. 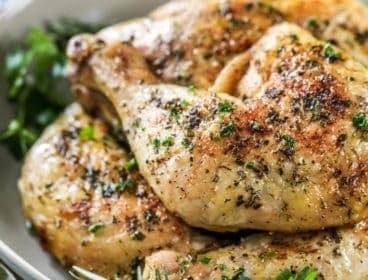 What is so difficult about this recipe?? It is so simple! I got a good laugh out of the comments but the writer has amazing patience! I think it would be less confusing if you said mix the cooled cranberry mixture with remaining ingredients and refrigerate. People wonder what happen to the other 1.5 C of cranberries. I thought maybe part of the recipe was missing. Just a suggestion! Thank you for the suggestion Ricki. The cranberries boil down to create a cranberry sauce and you’ll have about 1 3/4 cups sauce. You may have a little leftover. Holly, can I substitute Cool Whip for the sour cream/yogurt? Thanks! I have only made this recipe as written. While it would likely work it would definitely make the salad much sweeter and more dessert like. Has anyone tried this without coconut or replaced coconut with something else? I am doing it without the coconut and pineapple. We shall see how it turns out. Did it last year per recipe but different family. Can you taste the skins of the cranberries in this salad? The cranberries create a cranberry sauce so the texture before mixing it in is like a whole berry sauce. The skins don’t stand out to me in this recipe. Best chuckle I’ve had all day !! Am I supposed to use sweetened coconut. ? Thanks. I am making it now. I can not wait until I get to try this!! 5 years ago, My oldest niece made fresh homemade cranberry sauce for Thanksgiving Dinner. About an hour after dinner, we noticed one of her cousin’s neck turning red. Turns out she has allergy to fresh cranberries…..had eaten canned/store cranberry sauce previously with no problems. I hope to make this, but will have to use canned! Can we use ground cinnamon? I wonder if there might be something that you could substitute for the pineapple? My daughter is allergic to it – loves it, but she can’t have it. There seem to be so many holiday recipes with pineapple in them, and I don’t know if there’s something that would taste as good as the pineapple in them. Thank you for any help! While I have only made this as written you could maybe try canned mandarin oranges or extra cranberry sauce from step 1. I will be making this, this year for Thanksgiving. Sounds delish! Thank you for posting! Why do these recipes never have nutrition information for someone watching their intake? ‘m sorry I am unable to provide nutritional information. You can enter your ingredients here to calculate your calories. Did you use sweetened, or unsweetened coconut flakes? I wonder how this would taste using whipped cream instead of sour cream? Hmm, probably sweeter! I have no issue with readers changing the recipes, and letting me know how the meal turns out! 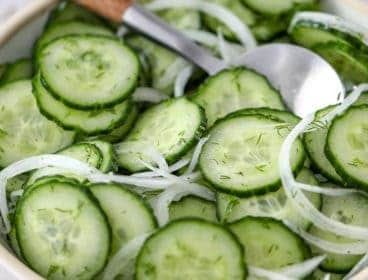 Have looked for a recipe similar to this for years. Only you freeze it and serve it that way. Do you think you could freeze this one? Or do you know of another one you do freeze? Thank you! I haven’t tried freezing this recipe so I can’t say for sure how it would work out… but it sounds delicious! I just might have to try it. Could this be done with a Splenda type sugar substitute? I would love to make this for Thanksgiving, but have some diabetics coming. Thanks so much. Never mind. I hadn’t read the other comments yet. I may give it a go both ways and see which works best. Thanks. That sounds like a great idea, Tommie! Wonder how cream cheese would taste instead of sour cream..
Is it OK to substitute ground cinnamon for the cinnamon stick? If so, how much ground cinnamon would you use? This looks delicious, and oh so pretty! I have made this salad for years but ground the fresh cranberries and let them sit overnight with sugar on them. 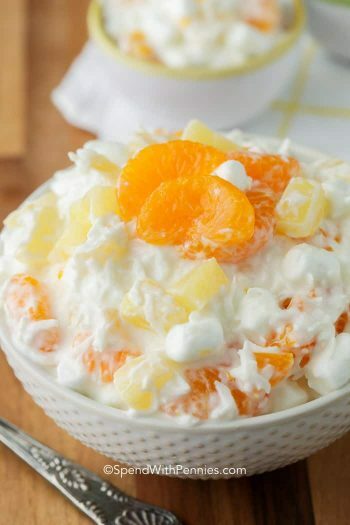 I use crushed pineapple and whip cream and mix it all together the next morning it’s awesome!! That’s the recipe I’ve used too, but I’m going to try this one this year. It’s very easy to understand, but some folks who do little cooking might need every detail instead of what I would call obvious. Looks wonderful, sounds easy to make also. And how big is a “side serving?” 1/2 cup? 1/3? A side serving is 1/2 cup. Thank you. Will try this year. Do you used sweetened coconut? What might be a good substitution for the canned pineapple? Not all of us are pineapple fans. I would think you shouldn’t leave them out without substituting something. I made this earlier today. I let it set for 8 hours and I did use the pure maple syrup and everyone enjoyed it. I will make it at all holidays. Thank you for the recipes. I try out your recipes before the holidays that way I know what I need to do. I’m so glad you loved it Margaret! This looks great! Is it gluten free? I have a family member that’s gluten intolerant. I’m sorry, I don’t follow a gluten free lifestyle so I can’t say for sure if this is gluten free or not. You will need to check the packages of the ingredients you use. Check your specific ingredients, but all the ingredients listed are gluten free. I plan to make this soon myself! If your marshmallows are GF, then the recipe would be GF. Of course this is gluten-free—there are no grains in it. Thank you for the Cranberry Millionaire Salad recipe. I will be making this for Thanksgiving. Awesome, Kim! Thanks for giving this a try! Do you sell a cook book? I truly love your Spend with Pennies , know hassle to print off recipes that I want to try, no ads in the middle of recipe. Thank You. Also have enjoyed each recipe that I have tried. Spend with Pennies is my go to place! It sounds good but when you set let sit overnight is refrigerate…..hanks. Yes, it should be refrigerated. Yum on all these salads. I am making your salad tomorrow to have for T’giving. Your instructions are very understandable..not sure why so many had trouble understanding. Can we refrigerate this for two nights?? I want to make it today Tuesday for dinner Thursday. Thanks!! I haven’t left it for 2 days. I do think it would be fine but you could always just make the cranberry portion today and quickly mix the rest together tomorrow evening. Jan…thank you, but still funny to read. Could be a SNL skit. I agree. I understood the recipe and I am not a very good cook! I agree Jan. Some of the posts sounds like it came out of a Saturday Night Live skit!. The recipe sounds very simple and easy and I will definitely try this next week for Thanksgiving. Thanks Holly! Agree. Made it last night and all went well. Thank you, Jan. I totally agree with you!! Haha! I agree, this is being made way more difficult than necessary! Instead of using regular sugar I’d use the drained pineapple juice & add some orange juice to make 3/4 c. if necessary or sweeten the 1 c. of water with 1/4 c. pure maple syrup – this will be healthier….. help to keep blood sugar on a more even keel than using refined white sugar. Can you replace the sugar with Stevia or Splenda?? I’ve only made the recipe as written. If you try let us know how it works for you! Depends who is eating ;) Delicious. We ate a lot. Using 1 1/2 cups cranberry mixture plus the other ingredients equals 10 1/2 cups. Some have posted that a side serving is half a cup, but based on the 10+ cups, 8 servings would be about 1 1/4 cup. What am I missing? This sounds delish and I am planning on taking it to a gathering for 18 people. If I double it, there will be 21 cups. I want enough, but I do not want way too much. Once mixed together this makes closer to 5-6 cups of Millionaire Salad (so you could likely get 8-10 servings per salad) as it settles even more once it sits. For 18 people I would suggest doubling the recipe. Do we remove the cinnamon stick after boiling process complete? Thanks! Yes, this cinnamon stick can be removed and discarded after boiling. Thanks so much! Can’t wait to make this for my family Thanksgiving! Why do we make 3 cups cranberries to end up only using 1.5 cups of the cranberry sauce. Do we double the other ingredients to also. use the remaining 1.5 cups of cranberry sauce? The cranberries shrink down when you cook them so you will end up with about 1 3/4 or 2 cups of cranberry sauce. For the little dab that is left for Pete sakes just mix it with the rest. Not going to hurt a thing. Still confused. Please confirm that we make and use the boiled cranberries, plus we add 1 1/2 cups of store-bought cranberry sauce? You make and use the boiled cranberries. There is no store bought cranberry sauce used in this recipe. It uses only the fresh cranberries. It sure of all the confusion. You explained it very well. I’m a little confused by these instructions…1.Combine cranberries, sugar, water and cinnamon stick in a saucepan. Bring to a boil, reduce heat and let simmer 10 minutes. Cool completely (sauce will thicken upon cooling). Is step 1 the “cooled cranberry sauce” in step 2? Or do I combine step 1 with a cup and a 1/2 of store bought cranberry sauce? Yes it is the cooled cranberry sauce in step 2. Thank you for your feed back, I will update the recipe to make it more clear! The remaining mixture will be a delicious cranberry sauce that can be enjoyed with turkey or even on yogurt! Is the Greek yogurt would taste better than the sour cream. I kinda not into sour cream. And the coconut flakes. Should I use unsweetened?? The coconut flakes are sweetened. 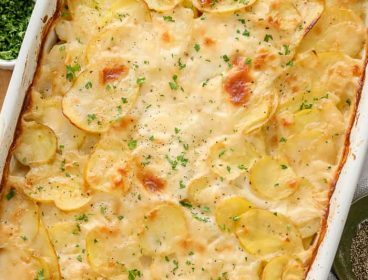 Both Greek yogurt and sour cream are great in this recipe. While they’re both tart in flavor the other ingredients sweeten it up. So you do not use all the sauce that’s been boiled? And you take out the cinnamon stick. There will be very little leftover. And yes, the cinnamon stick is removed. So you don’t use all the cranberries that you boil with water,sugar and cinnamon stick? Why boil all of them then? I’m confused! When boiling down cranberries you can end up with anywhere from 1 1/2 to 2 cups of cause. Specifying the amount keeps the final results consistent. I used the whole amount of cranberry sauce. It was delicious and worked just fine. Thank you – I will do the same. Thank you/ my same question! Making right now to go with thanksgiving dinner! Smells delicious! Yes, you only need 1 1/2 cups of the mixture. There may be a little bit leftover. Question…i know you said canned cranberry can be used but what about dried crandberries. I have a bag of dried crandberries and cherries and I have no idea what I can do with them. Please any suggestions. You could add them in addition to the canned cranberry sauce. I think it would taste delicious! Is the Cranberry Sauce that you add is what you simmered or do you use canned cranberry sauce added to the other ingredients? The cranberry sauce is what you simmered. It thickens into homemade cranberry sauce. Can you roast the pecans ? I have family that is allergic to raw pecans. Definitely! Roasted Pecans have such great flavor!